The Lord blessed and preserved the going of these girls to America and grew them in the Lord for thirty six years. The Lord blessed their mother in Korea and preserved her for her great sacrifice and dedication to pray for our family here in America. The Lord also blessed their sister who suffered a great loss when all of her sisters were going to America. The Lord preserved her as she stayed and was at her mothers side for those thirty six years. She too grew to become a strong woman of God. 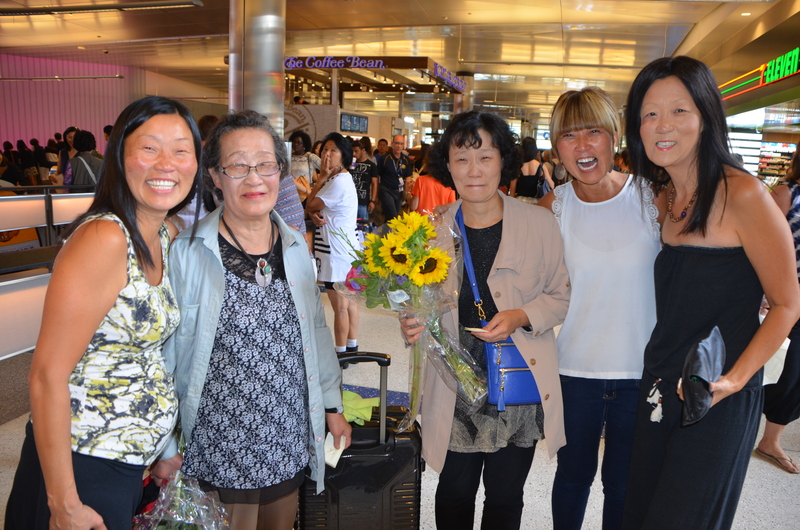 The airport at this reunion must have been bathed in the glow of love. I can’t believe we were all together just last week! The Lord preserves us all by HIS grace! Hallelujah! I love this story!! I hope you are writing your book, Darlene!